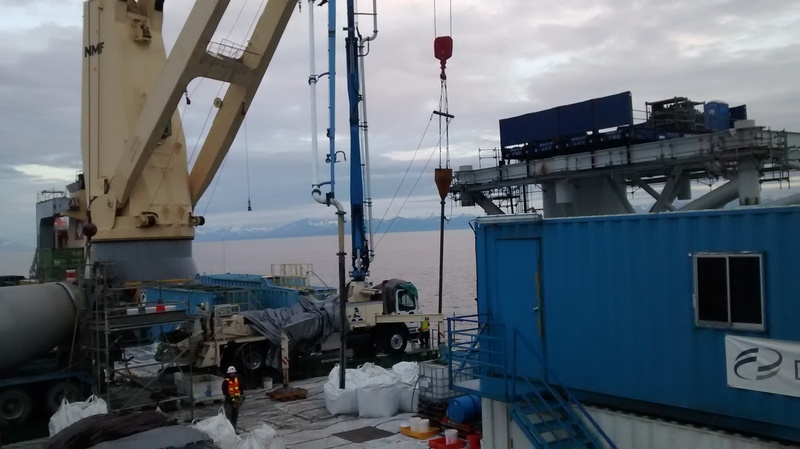 One such project was coming up with the mix and method to plug the legs of a gas platform 160’ deep in Cook Inlet in 7 knott currents and 40 degree F water temperature. As there was only a 30-40 minute slack tide window every 6 hours for a diver to place up to 16 yards, there was no room for errors. A test batch with vma, plasticizer, and accelerator was successfully completed so that the mix set up in 1 hr without washing out at the bottom of Cook Inlet. 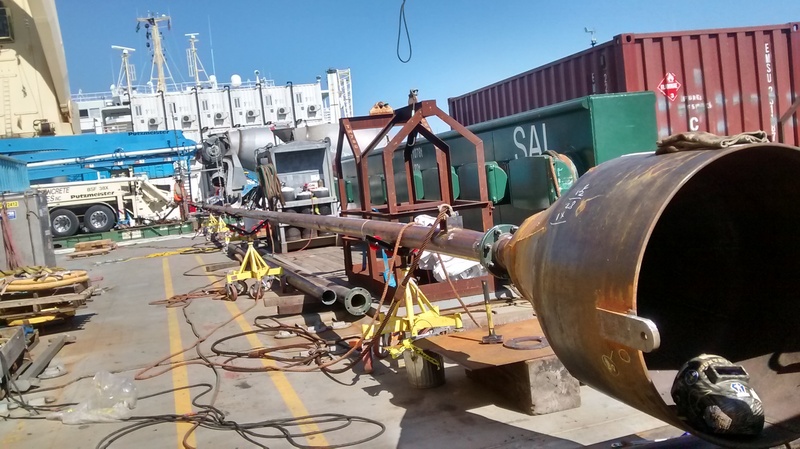 A boom pump, 2 mixer trucks, admixes and super bags enough to batch over 100 yrds from Davis Block were mobilized to the Svenja and successfully placed in 5 days. I am in the unique position of understanding the difficult logistics and realities of concrete production and QA/QC, as well as pumping in remote locations under extreme conditions. Cook Inlet Gas well-Organized the equipment and materials including testing a grout mix to set up in 1 hr 160' down without washing out. 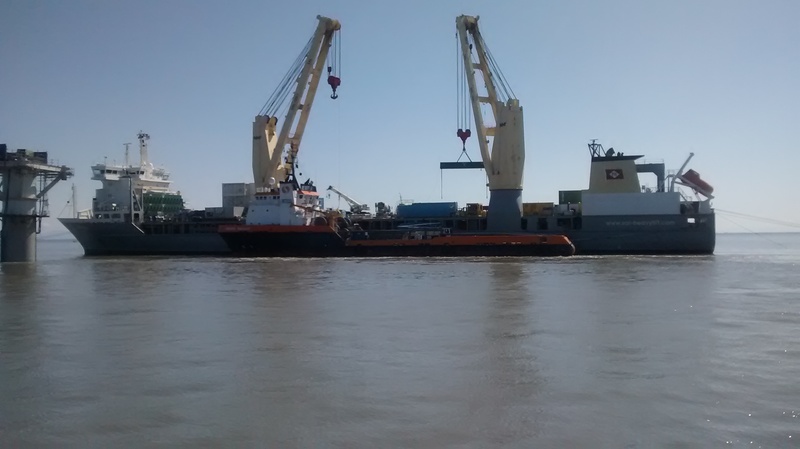 Cook Inlet-Gave specifications for placement tremie to place grout during 30 min slack tides. Cook Inlet-Controlled QC / QA of batching with high doses of accelerator, plasticizer, and vma. 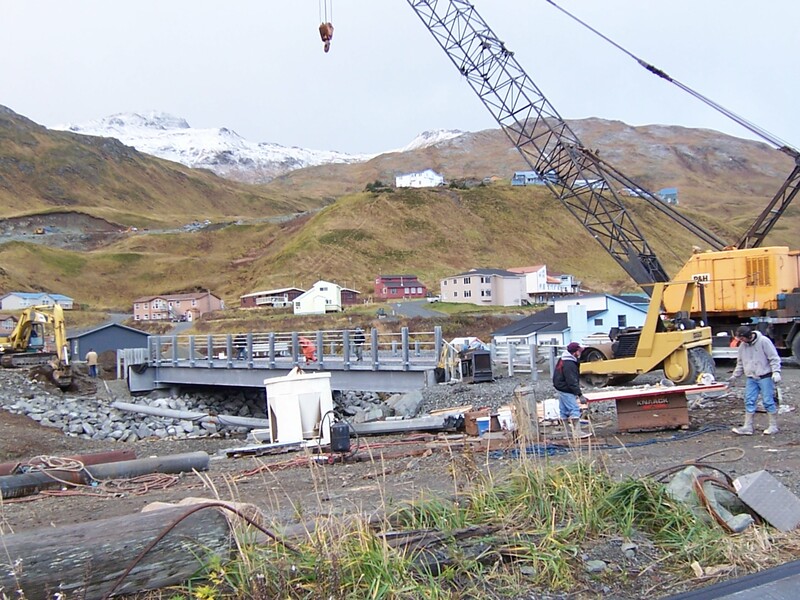 Unalaska-High strength silica fume overlay on bridge demanded close supervision on batching. 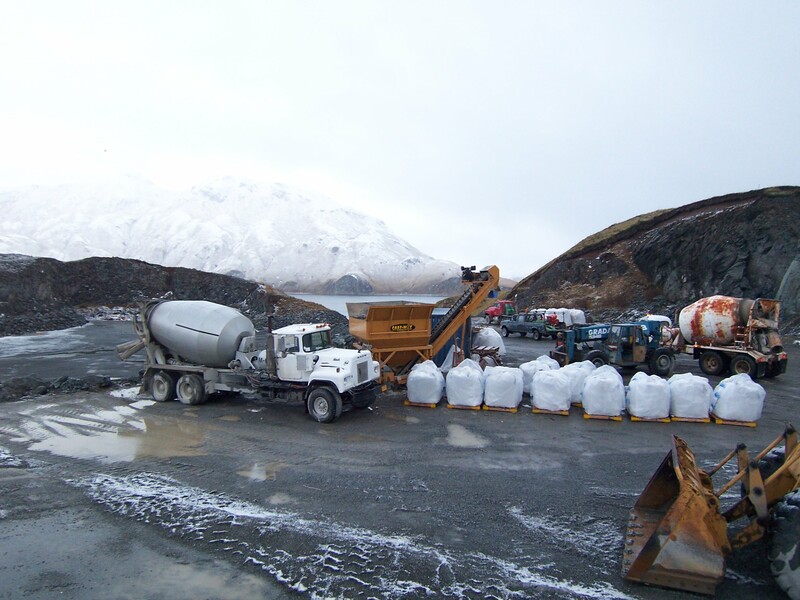 Unalaska-Overseeing batching with Contractor-supplied equipment and materials in cold weather.